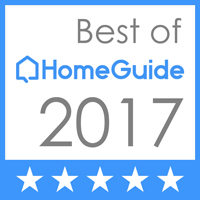 “We were contacted by a customer who we have done work for in the past. 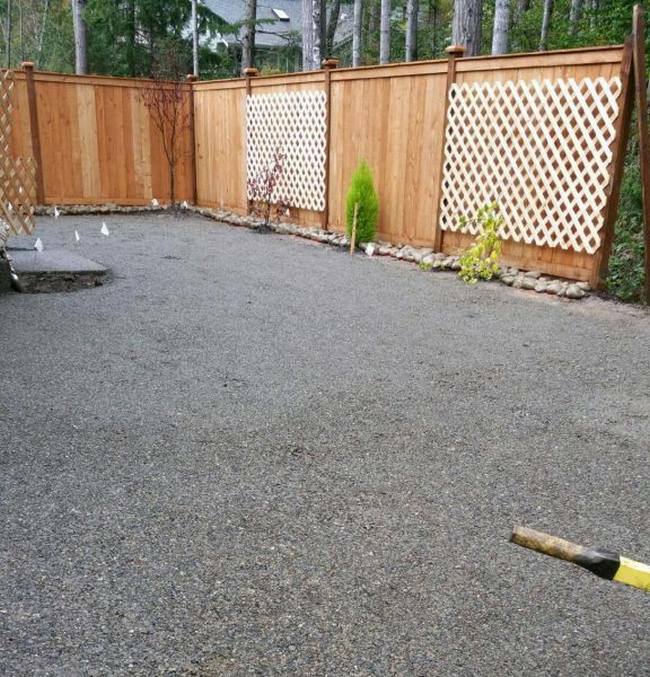 She had moved into a new construction home and asked if we would install the landscaping. One of her concerns was that she has dogs and didn’t want to have them tracking mud into her new home. 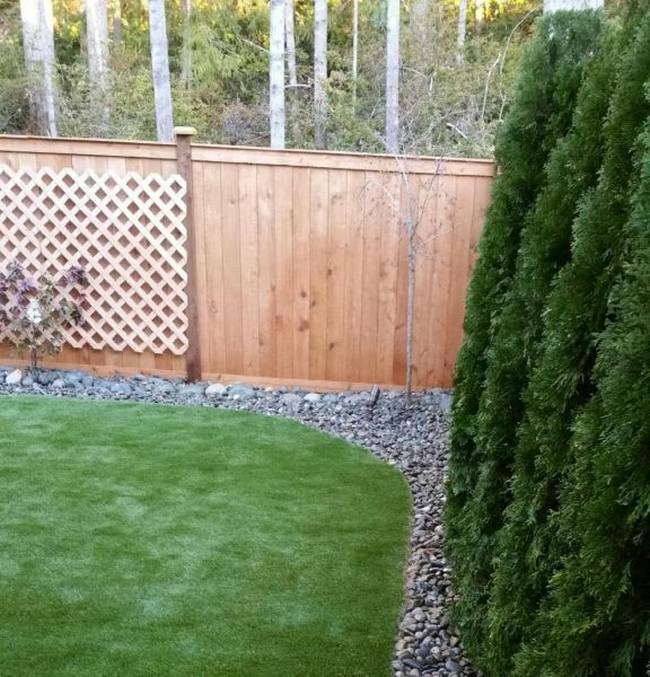 She also didn’t want to have us install beautiful grass just to have it destroyed by the dogs. 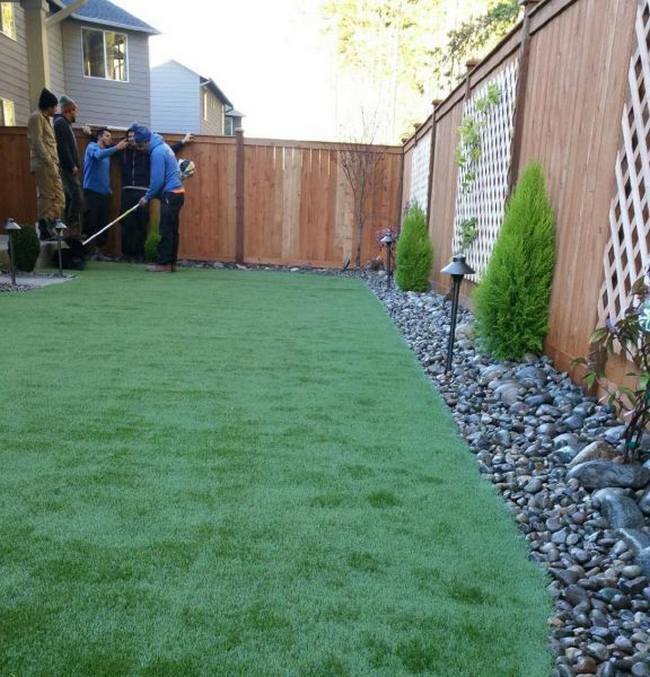 We gave her a couple options of synthetic turf to choose from, & she ended up going with the “Spring Turf”. 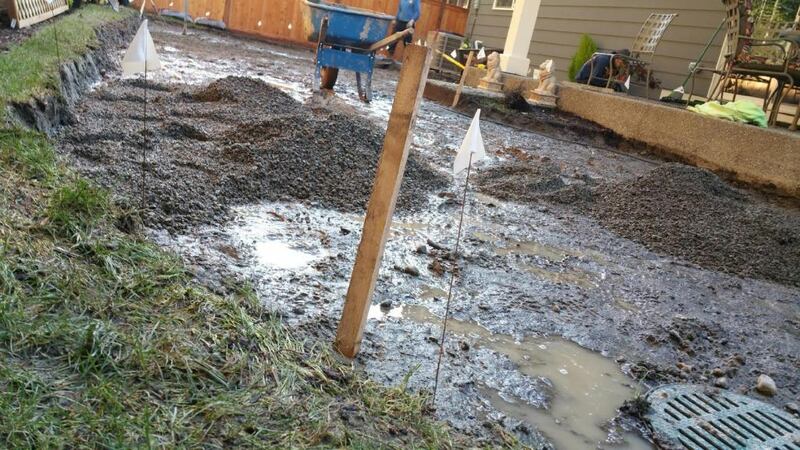 We started off by excavate the lawn area, removing all grass and soil. 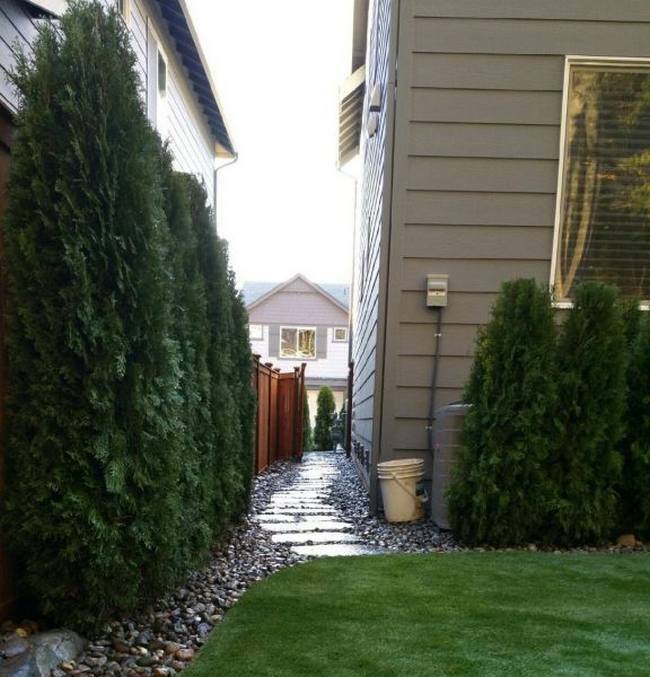 Then, performed any necessary drainage work, graded and contoured ground for the project, landscape fabric was installed to prevent weed growth, aggregate base is applied and leveled for the lawn surface, bordering and any final preparation is completed. After all of the prep work is done we move to the second phase which is laying down the turf. The turf is seamed and anchored. 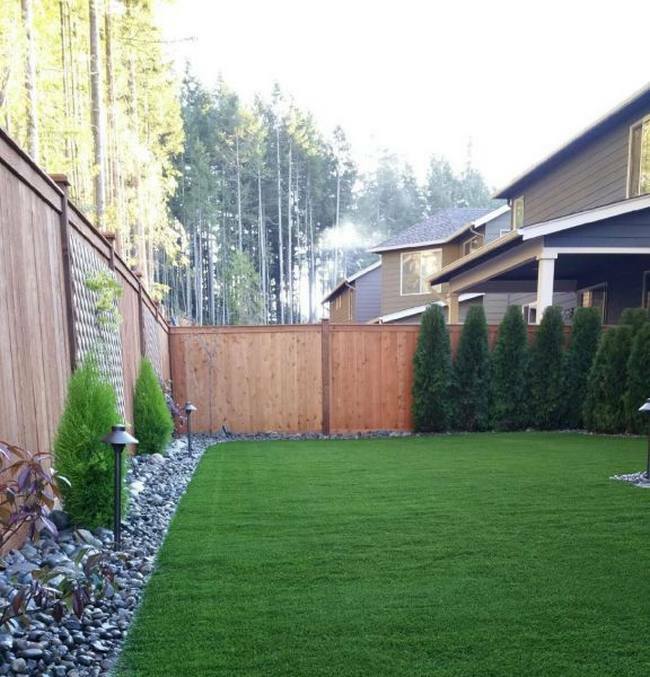 Infill is installed and manicured to give the lawn a natural look. 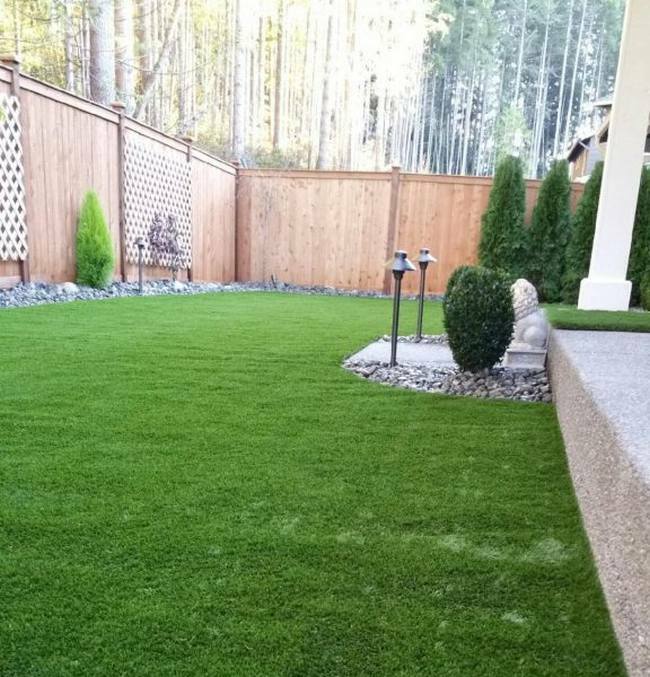 Compared to installing an irrigation system & sodded lawn, the synthetic turf is a little more expensive. But, in the long run, the turf will pay for itself. 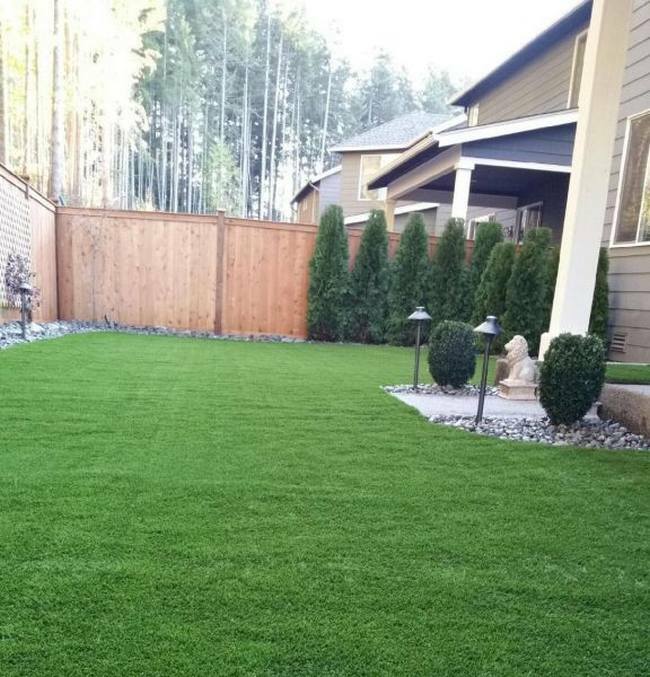 There are many benefits to installing turf, especially if you have a new construction home. 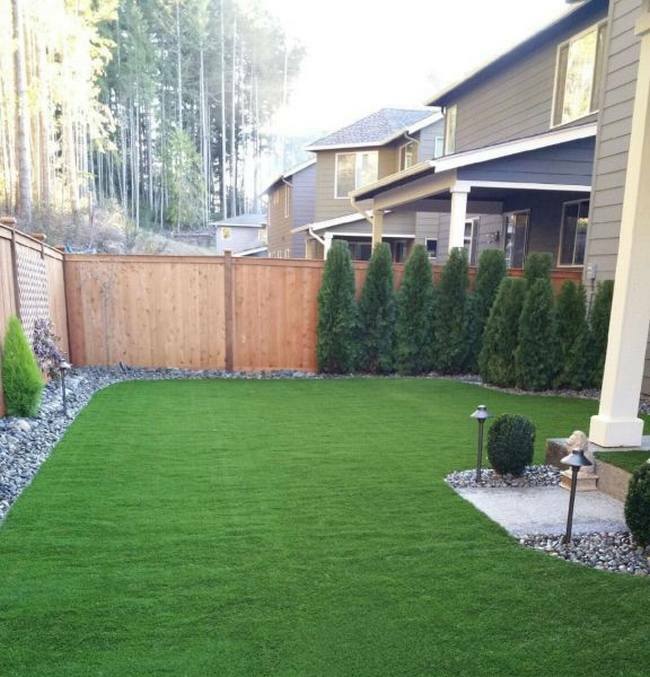 Just not having to water and pay your landscapers to mow will pay for the turf in a couple years. 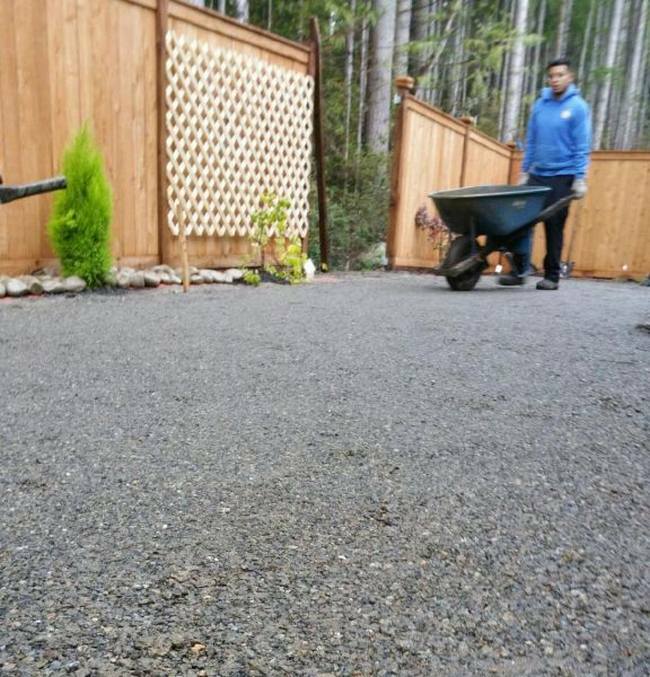 With this project we were also asked to install; flagstone pathways, new planting beds, tree’s, new plantings, & irrigation drip to all of the new plantings. 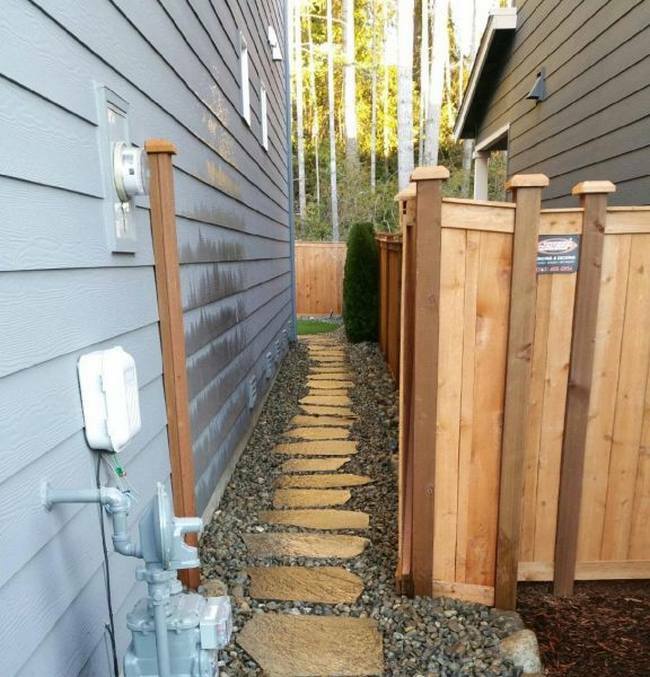 To finish everything off we installed LED low voltage landscape lighting which have light bulbs that the manufacturer recommends will last for 10-11 years.